Smaller than the iPhone XS Max, but no less powerful, the iPhone XS is one of the new pioneers in the smartphone industry. This premium handset packs high-end technical specs into a dazzling design. Its 5.8-inch Super AMOLED display is capable of showing 16 million different colors and features True Tone technology, keeping the picture quality at a high level whether you’re looking at photos on your Instagram feed or watching HD videos streamed through YouTube. The iPhone XS also keeps the edge-to-edge, ‘notch’ design introduced with the iPhone X, meaning that you get to enjoy every inch of this gorgeous touchscreen display with no distractions. But the iPhone XS doesn’t just look good; it packs in the power too. You’ll take professional quality photos with the dual 12-megapixel cameras on the rear (including TrueDepth), or impress your friends with superb selfies with the 7-megapixel front camera. With a hexa-core processor, 4GB of RAM, and Apple’s A12 Bionic chip, you’ll be able to switch between taking photos, surfing the web and playing the latest mobile games with no difficulty. The iPhone XS is ideal for multi-taskers. can keep up with you no matter what you ask of it. The iPhone XS battery life is a massive 20 hours (talk time)/60 hours (music play) and it offers fast charging so you’ll get to 50% battery in just 30 minutes. The iPhone XS is the perfect phone for busy people who need a phone that works as hard as they do. 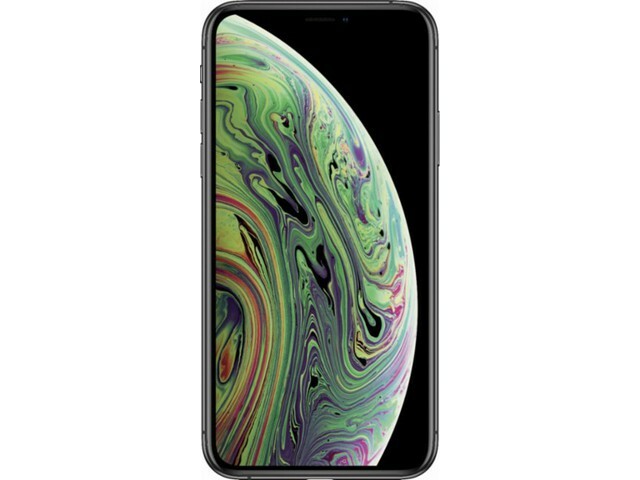 Sign up below to be notified when the refurbished iPhone XS in stock, so you can save money on this high-end handset.